One prospective juror was brutally frank when asked whether he could consider a sentence of life in prison for the man accused of bombing the Boston Marathon. "I would sentence him to death," he said, then added: "I can't imagine any evidence that would change how I feel about what happened." Another prospective juror said he couldn't even consider the death penalty, telling the court, "I just can't kill another person." The two men are on opposite sides of the capital punishment debate, but both unlikely to make it on the jury for the trial of Dzhokhar Tsarnaev: to be seated for a death penalty case a juror must be willing — but not eager — to hand down a sentence of either life or death. 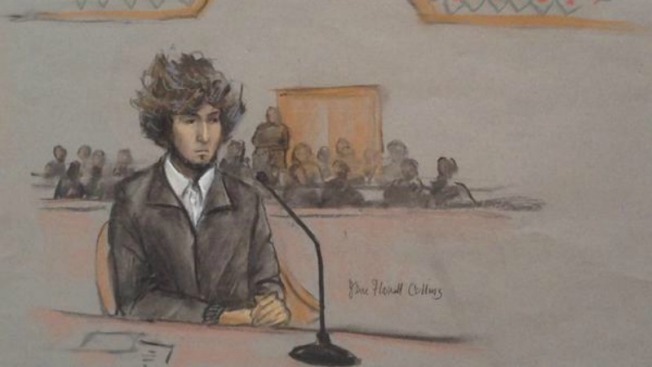 The process of finding "death qualified" jurors has slowed down jury selection in federal case against Tsarnaev, who is charged with setting off two bombs that killed three people and injured more than 260 during the 2013 marathon. It is expected to do the same in the state trial of James Holmes, the man accused of killing 12 people and injuring 70 others in a suburban Denver movie theater in 2012. The process is designed to weed out jurors who have strong feelings for or against the death penalty. A 1985 ruling from the U.S. Supreme Court said a juror can lawfully be excused if his or her views on the death penalty are so strong that they would prevent or substantially impair their ability to follow the law. But death penalty opponents have long said the process is fundamentally unfair. They argue that death-qualified juries do not represent a true cross-section of the community because they end up being made up of either death penalty supporters or people willing to impose it under some circumstances. "You end up with a jury with less women, less blacks, less Democrats ... you end up with a jury that is skewed in ways that make it probably more conservative, more accepting of prosecution arguments, of state authority," said Richard Dieter, executive director of the Death Penalty Information Center, a nonprofit organization that opposes executions. The Capital Jury Project, a consortium of university researchers, interviewed about 1,200 jurors in 353 capital trials in 14 states beginning in the early 1990s. The group's research has shown that death penalty juries are more likely to convict and that jurors often make up their minds about what punishment to hand down long before they're supposed to, said William Bowers, director of the project. After reaching a verdict, a trial enters the penalty phase, when prosecutors present evidence of aggravating factors, such as the brutality of the crime, to argue in favor of the death penalty while defense attorneys present mitigating factors, such as abuse as a child, to argue against it. Juries are then supposed to weigh those factors when deciding whether a defendant should get life or death. "The principal finding is that half of the jurors said they knew what the punishment should be before the penalty stage of the trial and another one-quarter of them said they were pretty sure," Bowers said. "The thing they don't recognize or seem to have overlooked is that they are not supposed to decide what the punishment is until they hear the evidence in the second phase." Death penalty opponents have argued that to get around this kind of pre-judgment, separate juries should be chosen to hear evidence in the guilt phase and the punishment phase. But that idea has not gained traction. Another finding of the research was that death penalty opponents are also more willing to consider an insanity defense, something that will come into play in the case of Holmes, whose attorneys don't dispute opened fire during a midnight showing of "The Dark Knight Rises" but argue he was in the grips of a psychotic episode. He has pleaded not guilty by reason of insanity. Holmes' lawyers, citing data from the Capital Jury Project, argued that his jury should not be death-qualified, but Judge Carlos A. Samour Jr. rejected their challenge, saying he is bound by rulings by the U.S. Supreme Court and the Colorado Supreme Court holding that death-qualification is constitutional. In the Holmes case, an unprecedented 9,000 jury summonses were mailed. As of Friday, 210 prospective jurors had been excused over four days. Individual questioning is set to begin next month. In the marathon bombing case, 1,373 people filled out juror questionnaires. Individual questioning of prospective jurors has been slowed as the judge has probed people at length about their feelings on the death penalty. The judge had originally said he hoped to question 40 jurors each day, but during the first five days only averaged about 15. Capital punishment supporters say the current system of screening out strong pro- and anti-death penalty jurors is the only fair way to choose juries in death penalty cases. "The process simply says that jurors must be willing to abide by the law," said John McAdams, a Marquette University professor who supports the death penalty. "The law says that certain kinds of aggravated murders should get the death penalty," he said. "Jurors have to be willing to listen to the evidence and have to be willing to impose the death penalty if, in their judgment, the crime was sufficiently heinous to call for the death penalty."